A pregnancy, a cancer diagnosis and a fourth wife complicates life. 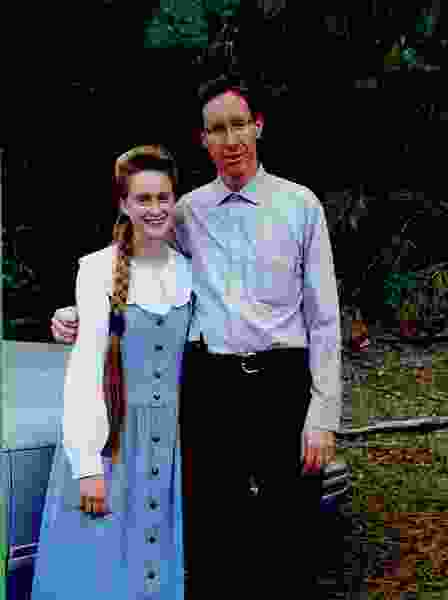 Rachel and Warren Jeffs, father and then-15-year-old daughter, pose in this photo circa 1998. In her book, "Breaking Free," the daughter alleges Jeffs molested her for much of her childhood. Photo courtesy HarperCollins Publishers. 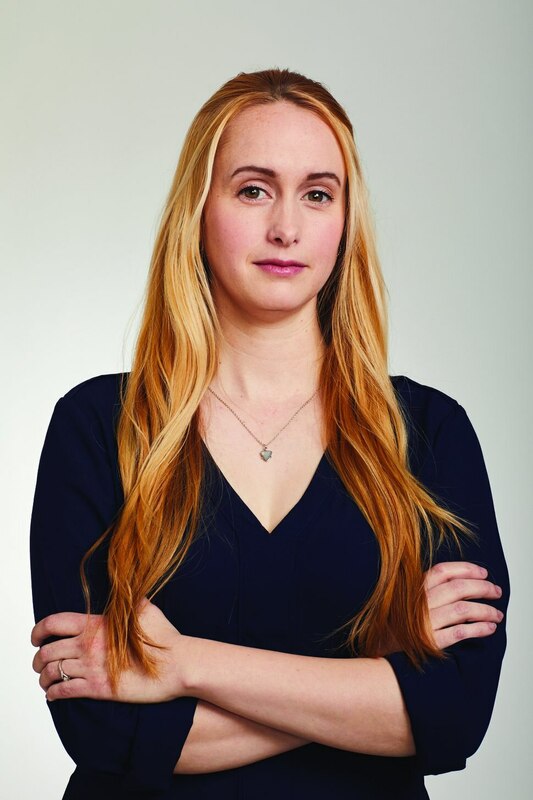 In the book, Rachel Jeffs alleges her father, Warren Jeffs — who today is the president of the Fundamentalist Church of Jesus Christ of Latter-Day Saints and is serving a sentence of life plus 20 years in Texas for crimes related to sexually assaulting two girls he married as spiritual wives — molested her as a child. At the time of the following excerpt, Rachel Jeffs is the 19-year-old third wife of the man to whom her father assigned her, Richard Allred. 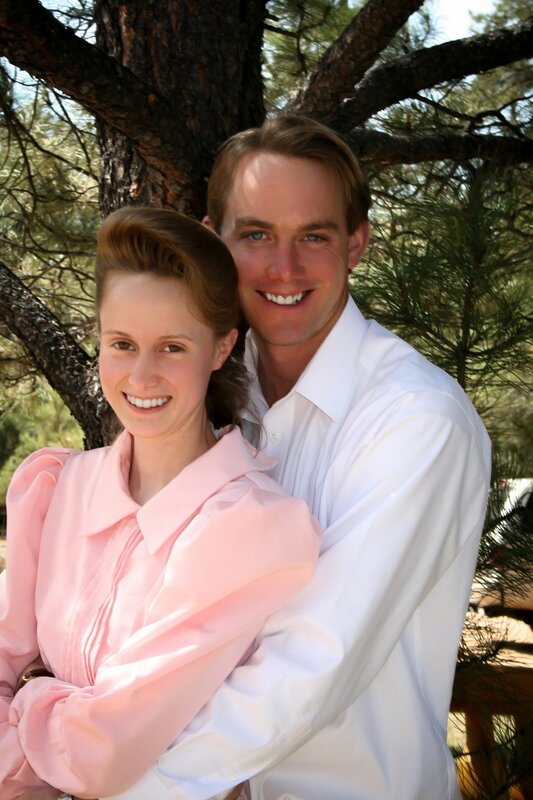 Rachel Jeffs has just given birth to her first child and the plural family is living in the FLDS community on the Utah-Arizona line, called Short Creek. Rachel Jeffs changed her sister wives’ names to protect their privacy. In April 2003, I went up to Father’s house to find Rich. All the family members I encountered looked at me with sad expressions. What’s the big deal? I wondered. “Rachel, you need to go talk to Father,” one of his wives said. The jacket of “Breaking Free: How I Escaped Polygamy, the FLDS Cult and My Father, Warren Jeffs.” Photo courtesy HarperCollins Publishers. Mother told me that she had noticed the lump in her breast two years before, but Father told her not to worry about it. After the cancer had grown considerably, Father finally let her get it looked at by a doctor. No one in the family went to the doctor without Father’s permission. The doctor hadn’t just confirmed her diagnosis; he’d told Mother that her condition was already terminal, and gave her six months to live. Father told her to have the chemotherapy anyway. In November of that same year, Father announced that the Lord had given him a new revelation. Father was to take all of his underage children to a special place in Texas that the Lord called a “land of refuge,” which was designated only for the more worthy of his people. 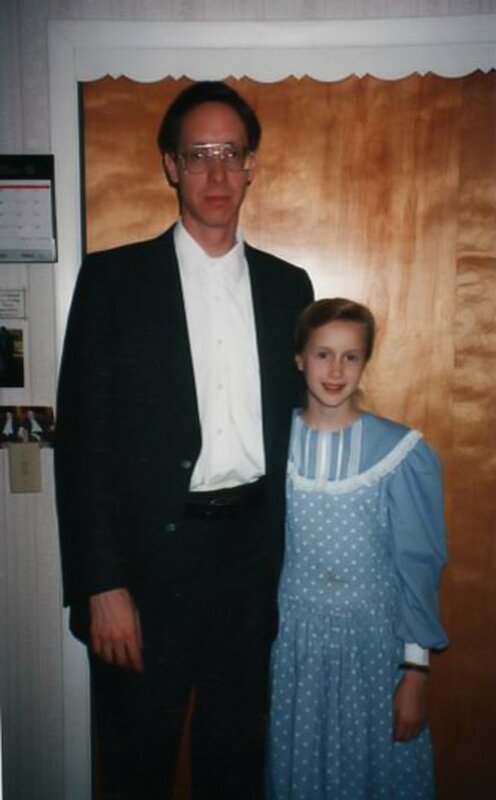 Warren Jeffs and his then-12-year-old daughter Rachel pose in this photo circa 1995. In her book, "Breaking Free," the daughter alleges Jeffs molested her for much of her childhood. Photo courtesy HarperCollins Publishers. Rachel Jeffs and Richard Allred pose in this undated photo. The pair married in 2002 when the bride was 18 and the groom 25. Jeffs was the third of Allred's four wives. Courtesy HarperCollins Publishers. That same month, November 2003, Rich came home with a surprise — he had a new wife. None of us ladies knew he was getting married again, not even my sister wife Molly, whose own sister Susan was the new bride. I didn’t know how to feel about the situation. I had been married to Rich for a year and eight months, and I had grown to love him. I went upstairs to my room, took my baby girl in my arms, and cried. I vowed that I would not treat this new wife the way the other ladies had treated me; I would treat her kindly, even if I didn’t like her. But it was weird to think of Rich sleeping with a new girl, one that didn’t even love him. 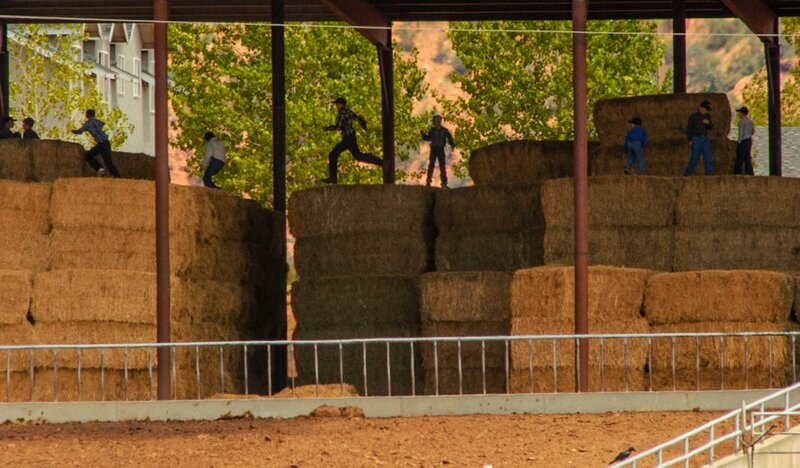 Trent Nelson | The Salt Lake Tribune Boys leap a gap in stacks of hay at the Dairy in Hildale, 2005. Mother continued to get sicker and sicker. In April 2004, Father allowed her two youngest children to come back to Short Creek to be with her, but she was too weak to do anything with them, let alone care for them. By May the cancer had spread to her lungs, and she was on oxygen to help her breathe. Two months later, on July 8, Father called me. “Rachel, your mother is dying, and—” I didn’t hear the words he said after that, only a voice in my head screaming “No!” Even knowing how sick she already was the last time I saw her, I couldn’t accept it. These kinds of things don’t happen to us, I thought. They happen to other people. I tried to bring myself back to what Father was saying. “You are not worthy to go on the land where she lives, but you can come see her while she is in the hospital in San Angelo. Isaac will drive you.” I wanted so much to talk to Rich, to cry on his shoulder, but that was impossible, as I had no way to reach him. Mother looked like she had aged 40 years in the few weeks since I’d last seen her. Lying in her hospital bed, she was terribly frail and had a faraway look in her eyes, like she was already partway gone to the other side. I didn’t want her to see me cry, so I walked over to the window to hide my face until I got control of my emotions. When I calmed down, I went to her bedside. My mother continued to stare ahead. “Where’s Barbie?” she whispered. I started to cry again. I couldn’t bring myself to tell her that I had been forbidden from bringing her namesake grandchild. I sat with her for an hour, and I could see she was failing fast. Uncle Nephi was there with us, and he made arrangements to have Mother transported back home, as she had expressed her wish to die there. Father called while we were still at the hospital. “This is the last time you and your brother will see your mother, because you are still not worthy to be on the land of refuge.” We would not be allowed to go to her funeral. Father called in the morning with a new revelation. “The Lord showed me that seeing your mother dying has humbled you and Ammon enough that you can be trained and then go to your mother.” It was a glimmer of hope, but it meant that Uncle Nephi had to drive us more than 500 miles — an eight-hour journey — to Albuquerque, New Mexico, to meet Father. It wasn’t lost on me that even as Mother was so close to death, Father didn’t feel it was important for him to be with her. It took Father all day to give us the “special training,” in which he instructed us about strict obedience, hard work, no complaining, rising no later than 5:00 a.m., getting to priesthood trainings on time, no gentilism of any kind, wearing plain pastel clothing in the house and dark clothing when outside working, and no shoes inside. He told us the Lord wanted a temple built in Texas. Father had us covenant to do all the good things and to keep the land of refuge a secret and sacred place. Finally, we were deemed worthy. 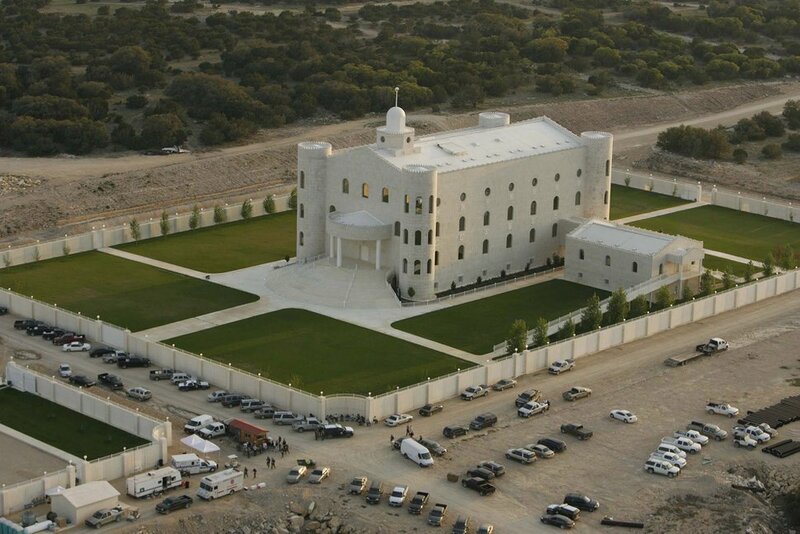 Trent Nelson | The Salt Lake Tribune Aerial views of the FLDS compound YFZ "Yearning for Zion" Ranch in Eldorado, Texas, on April 8, 2008. When we arrived in Eldorado, after another daylong drive, I was surprised that Father had chosen such a barren desert to be a sacred land of refuge for our people. There was cactus and white rock everywhere. I didn’t see anything beautiful about the place. Even the log cabins the men had built didn’t match the landscape. The land was code-named R17 (Refuge 17), since it was 17 hours from Short Creek. We sat with Mother all that night and into the morning, when the nurse had us step out so she could change Mother’s bedclothes. That’s when my mother’s heart stopped beating. Mother had just recently turned 39 years old.